Leaving the hospital in Kota Kinablau was intimidating. There’s nothing like a bout of meningitis in Borneo to knock you off your game for a while. So we figured the best thing to do would be to stay local, travel minimally for a while and go somewhere supremely relaxing where we could unwind, recuperate and recover. And Shangri-La’s Rasa Ria ended up being the perfect spot to do just that. Located only about an hour outside of the surprisingly large city of Kota Kinabalu, Rasa Ria is a little slice of paradise set on a cove of the South China Sea. The Shangri-La brand is well known, and it didn’t disappoint. I don’t know if this was the doing of Audley’s local agent or the fact that I showed up sporting my hospital bracelet and bandages on the IV holes in my hands, but the hotel upgraded us to the Ocean Wing. This is the fancy side, and it comes with such perks as a fabulous and large room with a spacious lanai containing a day bed and giant soaking tub; chocolates, fruits and snacks provided daily in the room; a separate pool just for Ocean Wing guests; and a separate breakfast spread that includes a build-your-own-mimosa bar. We practiced baby-mooning, Alan enjoying the specialty cocktails, and me sticking to the mocktails (for the most part anyway, I had to try that mimosa bar by the end!). While I took it easy, Alan partook in some activities at the resort: tennis (where he experienced for the first time a macaque walking along the top of the back fence while he played! ), the gym, and winning the putting competition. We even played a little game of croquet together. But mostly our recovery involved a lot of reading, a lot of napping, a lot of floating in the pool. We felt incredibly fortunate to be able to recuperate here, and it was a much needed period of relaxation and restoration for both of us. The resort is only about an hour from Kota Kinabalu (a taxi costs 90 MYR) but feels worlds away. The property is enormous, with multiple buildings, an 18-hole golf course and 400 acres of tropical forest. The beach is deep and gorgeous, but for some reason people didn’t seem to swim in the ocean or even hang out on the beach as much as near the pools. The Garden Wing is closer to some of the activities but the Ocean Wing is so near that it doesn’t really matter. The hotel is expanding the Ocean Wing so you do hear and see construction in what is otherwise paradise. Their website says it is expected to be complete in the fourth quarter of 2014. WiFi worked great. Nearby is the Nexus Resort, which I think is a similar concept that is less nice and less expensive. Food and Beverage: There are five dining areas plus a couple bars. Coast restaurant is the most upscale (with a dress code at night) and where the Ocean Wing guests have breakfast (which was excellent). Our dinner there was good but not amazing, though I did satisfy my craving for a steak. The Coffee Terrace has an a la carte menu plus a buffet with various theme nights. We ate there for the Western (mainly Mexican) and Mediterranean nights. The buffet costs 106++ MYR. Then there is an Indian a la carte restaurant, a Japanese teppanyaki spot with a few menu sets, and a Malaysian-oriented buffet that is sort of a fancy resort version of a hawker center. And there is 24-hour room service. There is a nice bar in the main lobby with live jazz music nightly. 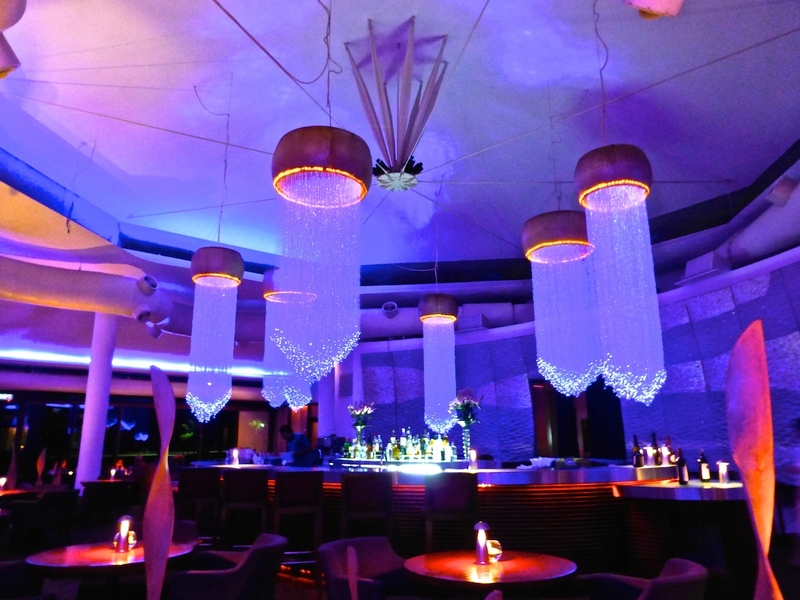 The highlight on the F&B front and maybe just overall is the 4:30-7:30 pm happy hour at the beachfront Sampan Bar. They have a neat, cultural lighting ceremony at sunset and a guitar/upright bass trio doing acoustic versions of Western classics. Of course the main attraction is watching the sunset. We had four straight glorious evenings watching that ball of fire plunge into the South China Sea. 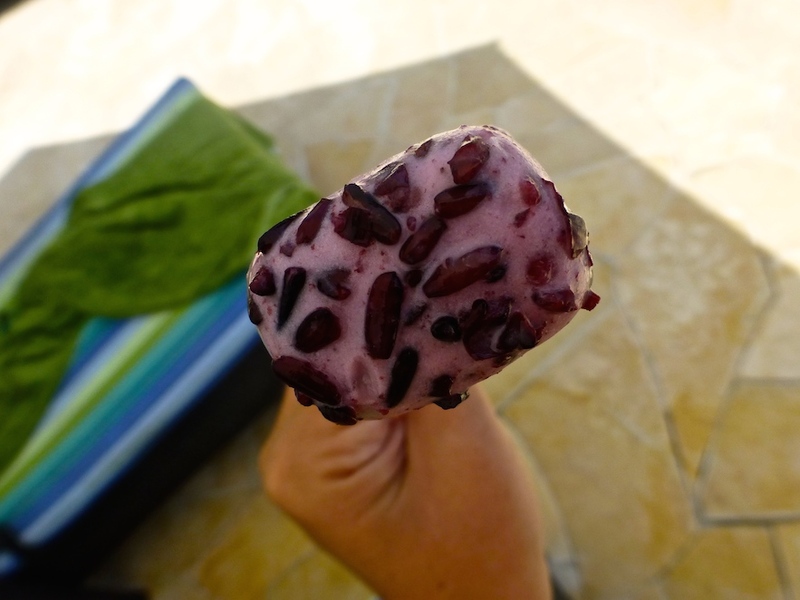 We enjoyed lunch at the Ocean Wing pool most days, and the staff walk around with ice water, cold towels and these delicious black glutinous rice ice cream bars. Activities and Wildlife: We were here to relax and did not partake in most of the activities, but there are several on offer (mostly at additional cost). There is an orangutan center and I’m not sure how it works, but I’m sure we would have participated had we not already visited Semenggoh. There are day and night boat trips to see floating villages and fireflies in the mangroves. You can rent a jet ski or borrow a kayak for free. I think you could visit Kinabalu National Park and they may be able to coordinate hiking there. The golf course looked pretty nice. On Thursday (every week?) there was a good deal for the guest/manager competition where it cost 185 MYR for nine holes including all the rental equipment you might need. There is one hard tennis court in very good condition. You can borrow a racquet and used balls for free, though I should have just stumped up the cash for a new can! You can pay a bunch to hit with the coach, but instead I asked and they connected me with Alvin on the staff free of charge and he was very good. In a tree in the middle of the property we saw a few big red and green macaws plus their resident hornbill. On the drive in, we saw a huge monitor lizard in the water at the golf course. We walked back a couple days later but didn’t spot any others.